Wow last blog of 2015 – already? End of year has come about very quickly hasn’t it. It’s sped by as time tends to do. It’s been a jam packed one too! Feels like I’ve had a lot thrown at me this year. Among others I’ve been diagnosed with an autoimmune disease, had to have our beloved pooch put to sleep, been to Harrogate and Newcastle for the crime festivals, been accepted for an author panel at crime fest in 2016, had my 6th wedding anniversary, 38th birthday, had the cover design through for my first novel (which will be revealed soon!!) and almost finished my 4th novel. Busy, heart wrenching at times, sad at times, and amazingly happy at other times. It’s been a year of ups and downs, and not just for me. The country has been rocked by government funding cuts, influx of refugees fleeing the most awful of circumstances, and more recently insane flooding that has left many people without homes. Tolkien said it best – ‘the world is changed’. But even despite all of this I’ve made time to smile – granted at times it’s been harder than at other times. But I’ve done it. As often and widely as I could. I’ve been told several times off different people this year that they find my blog inspiring, and I hope this is still the case. I thoroughly enjoy letting you lovely readers see into a little of my life – and I look forward to interacting and building friendships with each and every one of you in 2016. If I thought this year was a busy one, next year will be even more so. Writing is the strangest thing – there’s a little known story about how I came to be so focussed on writing. As a child I wrote constantly – little books that I stapled together and gave to my favourite teacher. I’ve always loved writing poetry and have all the poems I’ve ever written in notebooks hidden away at home. When I was 17 I wrote my first novel – the one that will never see the light of day as it was a complete rip off of an old tv show, Airwolf, though to be fair I had no idea about copyright back then. It has pride of place in its handwritten form on my notebook shelf. Then, as I got older and life got in the way, I found I focussed more on poetry again – usually as a means of therapy for when I was feeling low or stressed. More notebooks were filled with poems no one would ever read. About 5 years ago I went to see a psychic – I take everything with a pinch of salt but am of the opinion that some are real and can tell an awful lot about a person. I’ll not go into pros and cons – it’s up to you if you believe or not. Anyway this particular psychic who I’ve seen a couple of times since, asked me in the most astounded tone ‘why aren’t you writing? You were born to write and you’re not doing it. Why not?’ He actually inserted several swear words which I’ve purposefully left out but you get the gist. His absolute horror got me thinking – why wasn’t I writing? I had always loved it. I’d always written a journal and poems and enjoyed writing the stories and finding ways into other worlds and lives with a pen and paper. And what was stopping me anyway? Well the answer to that one, after a month or two of careful thinking, was obvious. The only thing stopping me was me. Once I realised this I decided to go to Uni and do my masters – not in crime scene science which is the subject I hold my Bsc in, but in creative writing. Even when I started I think I knew I’d end up being a crime writer. The old adage of write what you know. But I attended all the modules – some I did better than others in – my screenwriting module turned out to be the one I got my highest grades in, and funnily enough my poetry module was awful! Granted the tutor essentially said I was crap and would never write anything let alone poetry, but it was my worst module for so many other reasons too. Have to say though – he knocked my confidence so much I wondered for a long time whether I had what it takes to be a writer. It took months for me to realise that I could do anything I wanted. I guess since my novel comes out next year that I was right to believe in myself even when he clearly didn’t. Anyway suffice to say, a psychic believed in me hence why I started the course, my thesis supervisor believed in me enough that I got great grades for the first 15000 words of my first novel, and finally I believed in me enough to continue with it. I still have some doubt there – I wonder if people will like it, whether I’ll ever be able to speak about writing and inspire other people to follow their dreams, and sometimes I wonder if it’s actually any good, the same as many writers. But it feels amazing to know I’ve achieved my goals for 2015, and can rest knowing I’ll hopefully continue on my journey into 2016. This entry was posted in Blog Posts on December 30, 2015 by Kerryrichardson77. Where to start! It’s been an awesome month – it really has. One of those where you just don’t stop smiling for various reasons. My holiday with my ever patient hubby Peter in October was fab – we were in Egypt, though hurghada not sharm so we didn’t experience any of the issues relating to the Russian plane going down though I had friends there who were. As always am thankful that we were safe and had no issues, though my thoughts are and were with those affected. My birthday at the start of November was great. I got spoilt rotten with gifts and good wishes off my wonderful family and friends – I consider myself extremely lucky to be honest. Even without the gifts etc I have so many amazing people in my life. They keep me up when am down, sane when I feel like I’m cracking up and are always there with a smile. 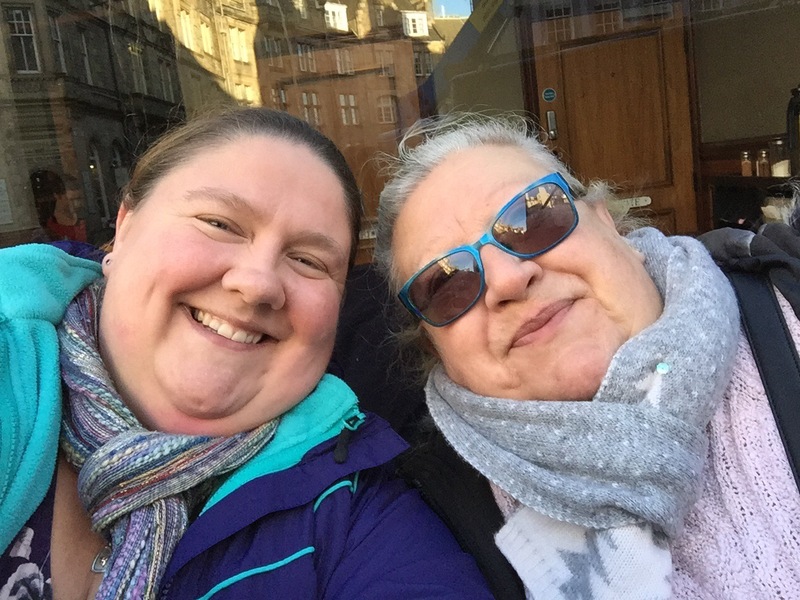 At the end of November, me and my mum drove the long drive up to see my aunt in Scotland. It was lovely to see her and my uncle – and I spent 3 enjoyable nights sleeping in the conservatory under the stars. 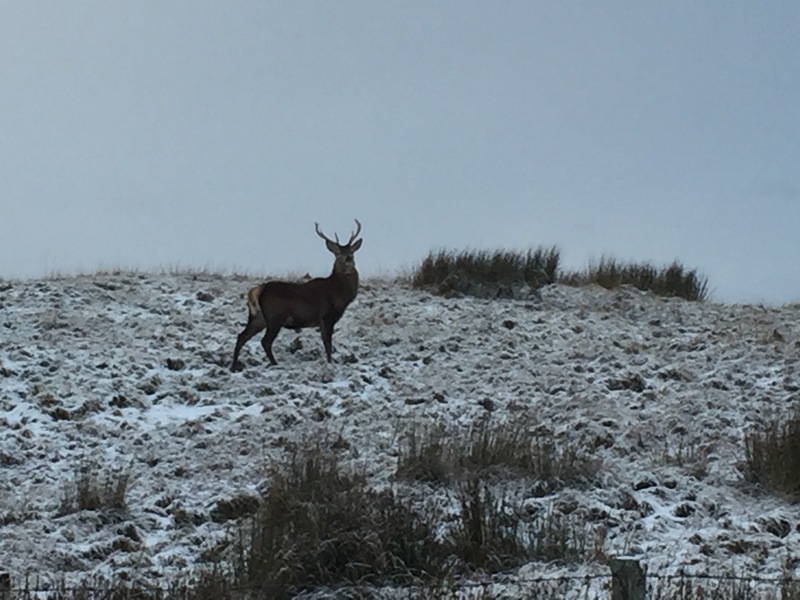 We then drove back down the icy single track for 26 miles, marvelling at the amount of deer that were down from the hills despite it being past 9am, and started the drive to Edinburgh. On reaching Inverness, the snow was coming down relatively hard so it ended up being a journey of about 10 hours (though we did stop for an hour or so along the way) and finally booked into our hotel. We went into edinburgh centre the next day and leisurely wandered round the Christmas markets near Waverley station, over the bridge to the old town and visited the underground Mary King Street. 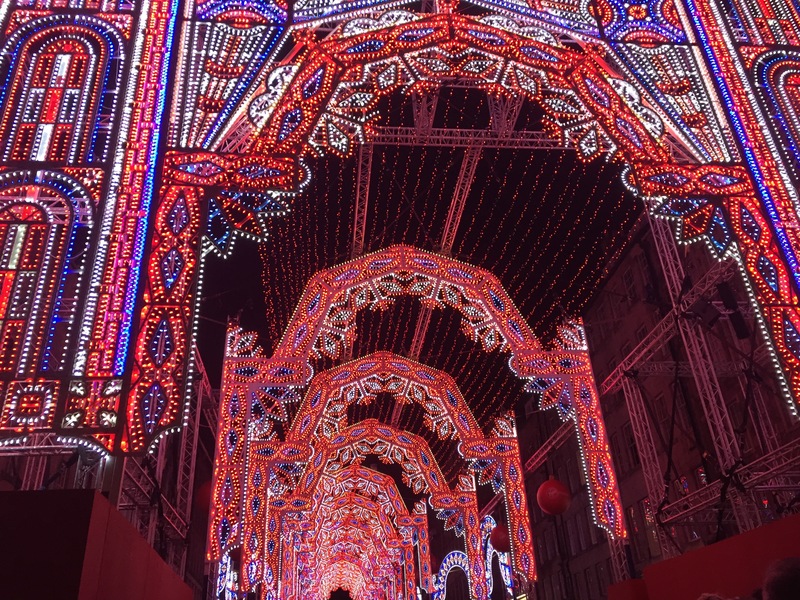 We stayed to watch the switch on of the Street of Light – virgin and underbelly had constructed massive displays which moved in time to Christmas songs provided by various choirs! It was absolutely fantastic. 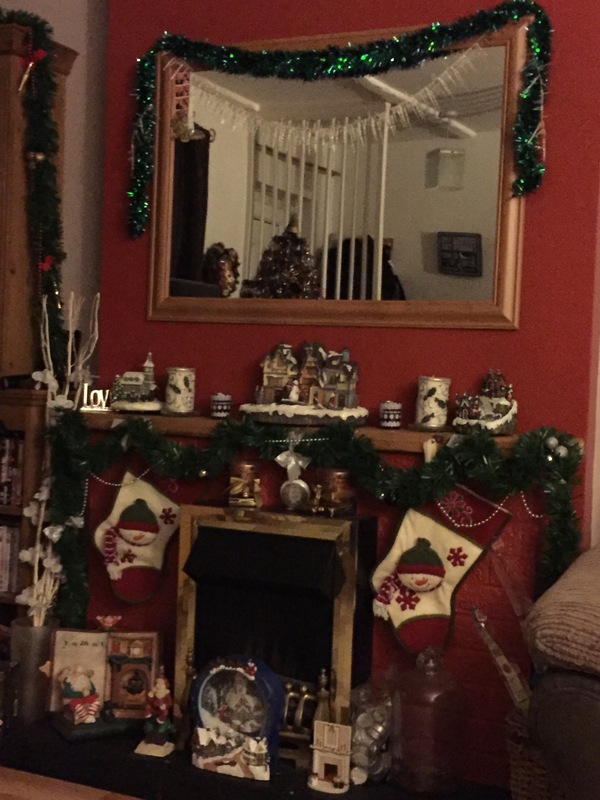 Am now back home and in full Christmas spirit and ready to tackle the Christmas decs! The tree and lights will be going up in the very near future! The pain I was in from the autoimmune disease has eased a little now I’m on the correct medication – I have my painkillers and am now on a good sized dose of sulfasalazine. I’ll be honest here and say I didn’t think it would work like it does – the pain compared to what I felt prior to the meds is much more manageable. Yes I still have pain and issues but I feel better equipped to get through the day. I’ve managed to get some writing done on book 4 – it’s been a hard slog this one. With my hands being so sore I’ve avoided writing for much of this year. I started book 4 in November last year and am only now nearing the end point. Normally I write over a 6-7 month period then focus on editing the novel before. I’ve had moments when I’ve wondered if I should stop, and other moments when I’ve fought tooth and nail to keep going. I accept now that there will be times I physically can’t do it – and am more determined than ever to crack on when I can! And if that involves voice recognition software then so be it! So I have a lot to smile about! I’m in the process of doing a 2015 blogpost which will feature on the lovely Vic Watson’s website – www.elementaryvwatson.com – so feel free to check that out if you like. Next blogpost off me will be after chrimbo! Goodness I adore Christmas! Have a good one folks – and as always, keep smiling!! This entry was posted in Blog Posts on December 4, 2015 by Kerryrichardson77.